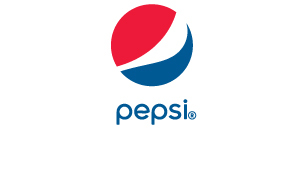 The following content is created in consultation with Pepsi. It does not reflect the work or opinions of NBC BAY AREA's editorial staff. Enter to win 49ers tickets by hashtagging your Instagram fan selfies with #ALLFORNINERS. Niners fans, it's time you put your loyalty to the test by showing your support for your favorite team. This season, Pepsi is challenging Bay Area fans to post their best fan selfies to Instagram. Images should feature you celebrating and/or cheering for the 49ers and include #ALLFORNINERS. Once you upload and share, you'll be eligible to win fantastic fan prizes from Pepsi. Post your favorite photos, and you could win a 6-pack of tickets for you and your friends to sit in the Pepsi Fan Deck of Levi's® Stadium, a meet-and-greet with Anquan Boldin, autographed 49ers gear and much much more. Not only will you have a chance to win select prizes, but the best #ALLFORNINERS selfies of the week will be selected for NBCBayArea.com fan galleries. So, 49er fans, the gauntlet has been thrown and Pepsi is here to award you for your fandom. Start Instagramming now, and don't forget to check back here to see if your mug made our gallery.